Arizona Day 3: Sedona by Surprise! 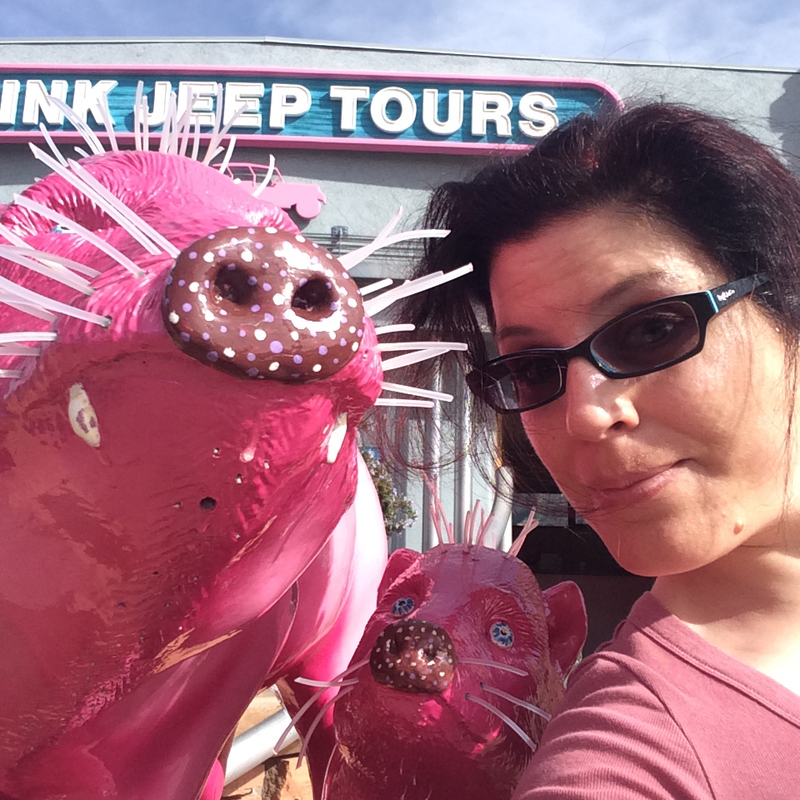 Selfies with pink javelinas in uptown Sedona! Ahhhhh – now we’re really getting into vacation time. Thursday and Friday were awesome, but we had to get up pretty early in the morning so that we could put our vacation plans into action. But Saturday, my friends, was time for relaxation…AND MORE ADVENTURE!!!! Although, when we woke up, we didn’t know exactly where the day would take us. The first stop for me was at the spa, where I got an amazing custom facial. And it wasn’t just a regular facial (ok, get your mind out of the gutter! ), but it was like a facial with bonus massages. While various goops were moisturizing my skin, the therapist massaged my arms, hands, shoulders, and then gave me a scalp massage so relaxing that I was just on the verge of sleep. Then, I went to get a long pedicure that included a hot stone massage for my feet and legs. I was so relaxed from my facial treatment that I just wanted to go back to the room and take a nap. But I suffered through my pedicure to the very end (ok, I’ll admit it – I can be a touch spoiled!). Seriously though, it was all very relaxing and I felt very pampered. The pictures don’t really capture how amazing the valley is, in terms of its colors and vastness. I guess to really get a flavor for what the ride was like, you should probably watch this video clip. We were able to get really close to the rock formations and swoop through the canyons, which was a little different from the Grand Canyon tour because at the Grand Canyon we had to stay above a certain elevation. 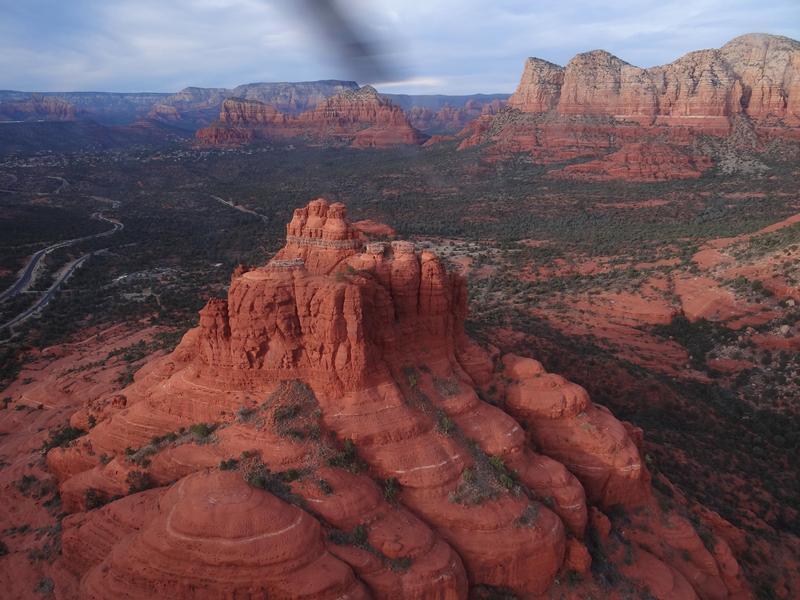 But in Sedona, there were no regulations like that – my favorite parts of the flight were Secret Canyon and Boynton Canyon – we even saw some cliff dwelling ruins. 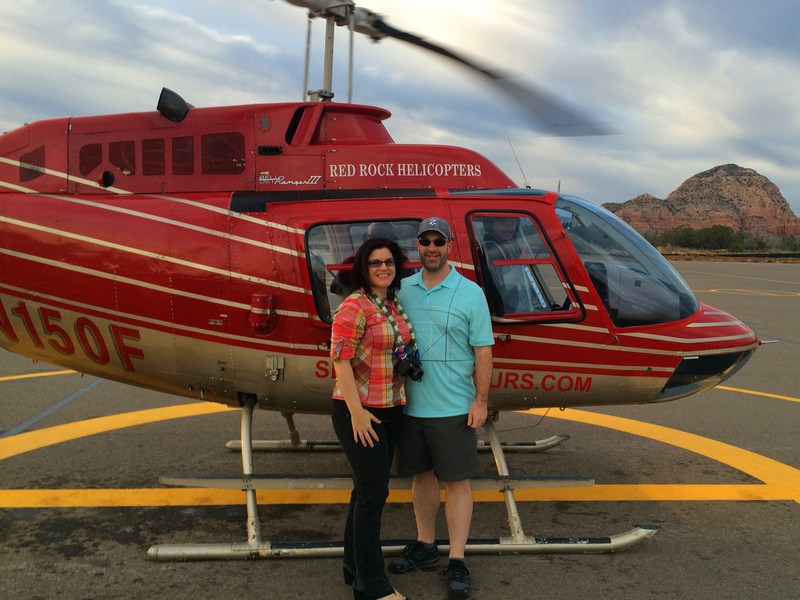 I highly recommend seeing Sedona by helicopter!